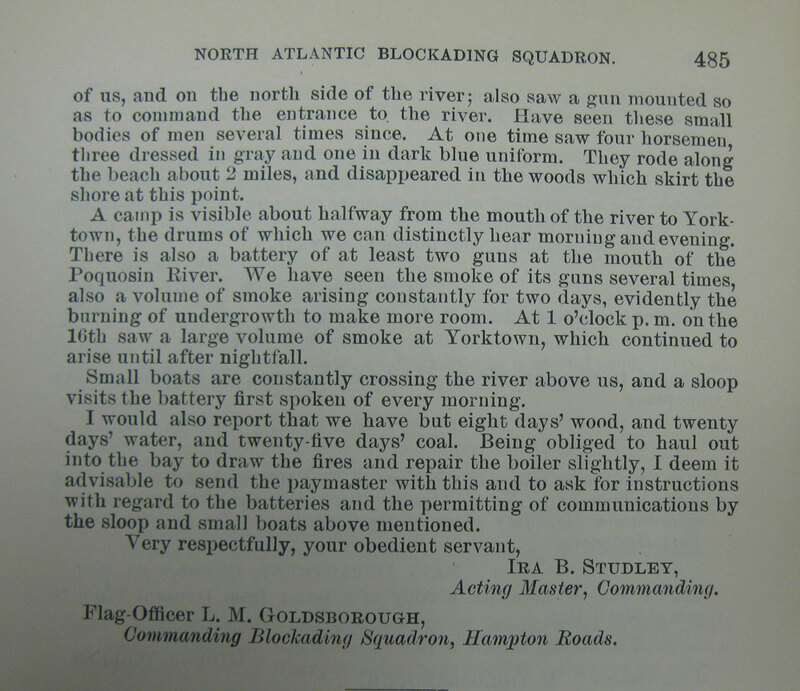 Item description: Report of Acting Master Studley, U. S. Navy, commanding U. S. S. Young Rover, regarding batteries on the York and Poquosin rivers, and the crossing by small boats of the York River. This entry was posted in North Carolina Collection and tagged batteries, fortifications, forts, Ira B. Studley, ships, United States Navy, USS Young Rover, Virginia, York River, Yorktown. Bookmark the permalink.